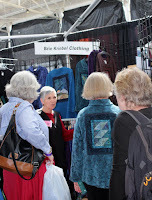 No “Voices in Cloth” show would be complete without a stellar lineup of vendors who bring us the best in fabric, notions, gifts, and all things quilt related, and much more. 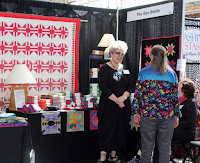 This year’s vendors will feature a wide variety of products and services and are sure to appeal to quilters and quilt lovers of all types. 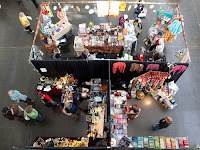 We are pleased to welcome back many of our regulars and extend a special welcome to vendors who will be joining us for the first time. For downloadable and/or printable list, click here. 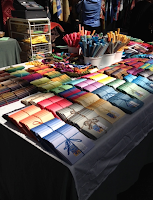 Aboriginal, Hawaiian & Japanese fabrics. Jewelry & gift items. Antique vintage and distinctive contemporary buttons in sets and one-of-a-kind; unique antique button jewelry featuring earrings, bracelets and necklaces. 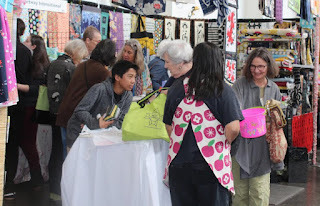 Search online for "Paula Chang Fabrications"
Global Marketplace Fair Trade Crafts, Ltd.
Asian-inspired clothing, and “Relics” —a line of necklaces and earrings. search online for "Waka Ozawa"